REAL love or Reeling, feelings love? 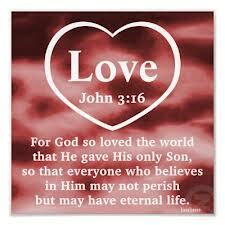 Considering today is Valentine’s Day, I thought it appropriate to do a post on love as it is described in the Bible. It doesn’t take long to discover that society’s definition of love varies from that of God’s. Dictionary.com shows the definition as follows..
LOVE: Noun, verb, loved, lov·ing. 4.a person toward whom love is felt; beloved person; sweetheart. 5. (used in direct address as a term of endearment, affection, or the like): Would you like to see a movie, love? Though all these varied definitions are somewhat true, they all based on feelings. This is a vastly different type of love than the one God has provided for us and the one His Spirit allows us to receive and demonstrate to others. Much of the troubles the world is facing today is due to the fact that LOVE has become “feeling” motivated only. People often get into relationships, marriages etc. based on their feelings alone and wonder a few years down the road why their relationship is failing or going south. When we base our love for another or from another on feelings alone, we set ourselves up for great disappointment and trouble. Though feelings are very important, they cannot be the basis for Biblical love. Here’s what God’s word says about love..
1 Corinthians 13:4-13 NIV 4 Love is patient, love is kind. It does not envy, it does not boast, it is not proud. 5 It does not dishonor others, it is not self-seeking, it is not easily angered, it keeps no record of wrongs. 6 Love does not delight in evil but rejoices with the truth. 7 It always protects, always trusts, always hopes, always perseveres.8 Love never fails. But where there are prophecies, they will cease; where there are tongues, they will be stilled; where there is knowledge, it will pass away. 9 For we know in part and we prophesy in part,10 but when completeness comes, what is in part disappears. 11 When I was a child, I talked like a child, I thought like a child, I reasoned like a child. When I became a man, I put the ways of childhood behind me. 12 For now we see only a reflection as in a mirror; then we shall see face to face. Now I know in part; then I shall know fully, even as I am fully known.13 And now these three remain: faith, hope and love. But the greatest of these is love. This is LOVE! This is the kind of love God has for each and every one of us! This is the kind of love He wants us to have for one another! If we operate in this type of love, we will not see the kind of destructive bashing and hurting we so often see. It is only possible to have this kind of love when we come to the realization that this IS the kind of love our Heavenly Father has for us. It is through the security of His love for us and the power of the Holy Spirit that we are able to allow ourselves the vulnerability to demonstrate this kind of love to others, not only when they deserve it, but even at times when they don’t. By offering up His Son, as the ultimate sacrifice for our sins, God demonstrated this kind of love for us. John 3:16 NIV 16 For God so loved the world that He gave His one and only Son, that whoever believes in Him shall not perish but have eternal life. If we want to make an impact on our families, communities and our world, we need to take our definition of love from the Word of God, not from society. My prayer is this year, God will help me to grow more in His kind of love and less in the world’s kind of love! ← No longer a slave!